BrimaPack has developed a range of harvesting aids to fit the needs of growers with smaller fields and/or the need for more agile and flexible harvesting systems. For this, various harvesting belts and logistical solutions are available. Packing machines, or bundling systems, can be integrated in this concept. The harvesting aids are suitable for vegetables like Broccoli, Iceberg lettuce and for example cabbages. The systems are also utilized in the growing process of potted plants in trays. 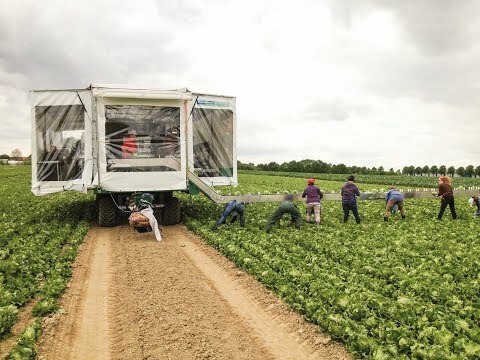 All harvesting aids are easy to fold and stay within the 3 meter transportation width. In the field the harvesting width can be up to 12 meters. "VeTrac" is a self propelled multi-purpose automated tracked vehicle primarly used for field packing of crops for customers with large fields who want to pack up to 8,000 heads/hour. 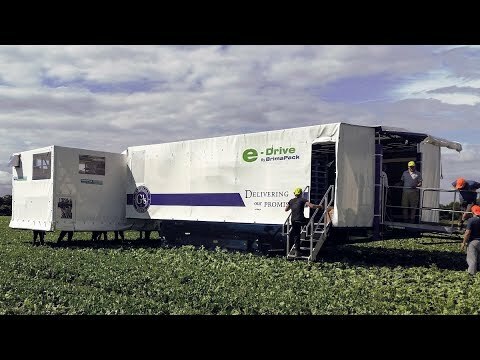 “Rover” is a modular range of self propelled or towed, automated field packing systems, focused on customers with midsized fields who want to pack up to 3,000 heads/hour.